1,2-Octanediol, also known as caprylyl glycol, is a diol with the molecular formula CH3(CH2)5CHOHCH2OH.It is a common component of many creams and ointments, where it is used as a skin conditioning agent. It is also noted to have some antimicrobial (preserving) ability. Because of its multi-functioning nature (moisturizer & anti-microbial), Its compatibility with many cosmetic ingredients and its pH-independent broad efficacy against germs allow for the use in a plethora of personal care products such as facial moisturizer, sunscreen, anti-aging treatment, lip gloss, mascara, concealer, cleanser and foundation.1,2-Octanediol is a skin conditioning-agent. In cosmetic products, the ingredient adds moisture and works as an emollient. 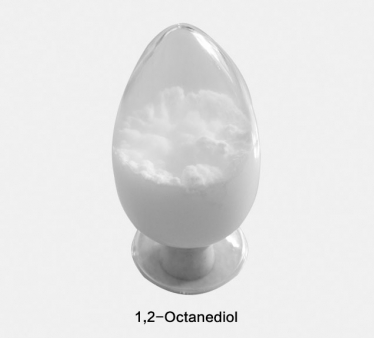 Zhufeng Chemical is a leading chemical supplier to offer 1,2-Octanediol.Purity: 98% (min)(GC). Apperance: colorless liquid or white solid.We have 1,2-Octanediol REACH registered.If you need this chemical, welcome to contact us to get the best quotation.